I know they are cute and I know they are fun, but rats are also quite expensive. It’s not the initial cost. Most people don’t worry about paying £15 for a rat. It’s not even the cages, though a cage big enough for a trio of rats will run you anything from £60 on up to the hundreds, depending on how big a cage you want. The problem certainly isn’t the food as even the best quality and most expensive food you can buy (for example the Isa-mix with Egg biscuit) will retail at £3.86/kilogram (at www.ratrations.co.uk if you are interested). The problem is the vet bills. I estimate that every rat I own will cost me about £150 in vet bills during the course of their lives. Now, this doesn’t always happen. I have a few 24-month old does that have never seen a vet (yet). On the other hand, both my 20-month girls already needed spaying (about £90 each) and will certainly have at least one visit to the vet during the remainder of their lives, if only for that sad, last time when they are put to sleep. So, why is it that rats cost so much? There are many diseases a rat can get but the one I’ll talk about here are upper respiratory infections. During one of my saving missions with a very “respy” doe of many years ago my vet sighed and told me that he’d done post mortems on pet rats and the state of their lungs made him wonder how they could ever breathe in the first place. 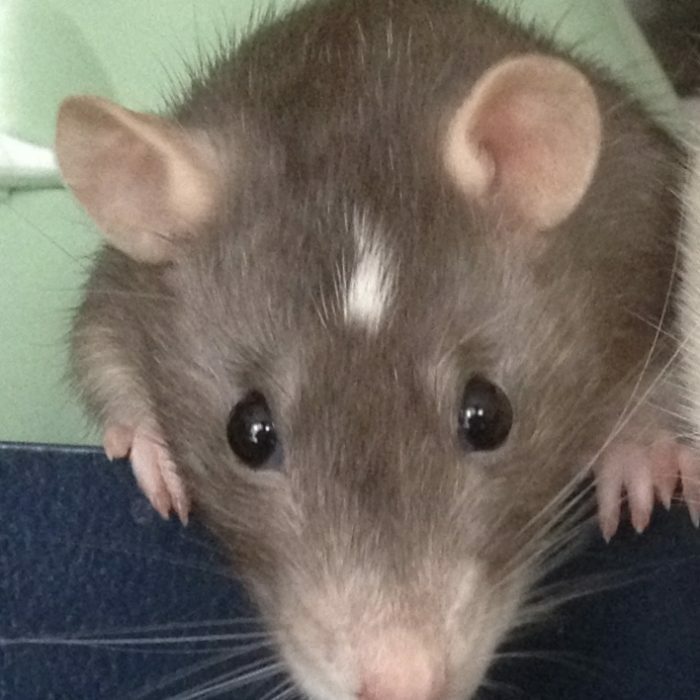 So, I put this in a blog just to warn prospective pet owners: pet rats are not that cheap! While it is true they will never need thousands of pounds worth of surgery as a dog with a cruciate ligament problem might, they may very well cost you more than you thought they would. As rats only live a couple of years you may keep bringing in new rats and so you always have more “end of life” scenarios in the horizon. 1. Avoid illnesses if possible. Sounds obvious, but it isn’t. If you want to avoid heart disease try to feed a well-balanced diet and weigh out, then scatter the feed, across the cage so that rats have to spend more time foraging for it. This allows them the natural behaviour of foraging, helps keep them from getting bored, and keeps them trim. 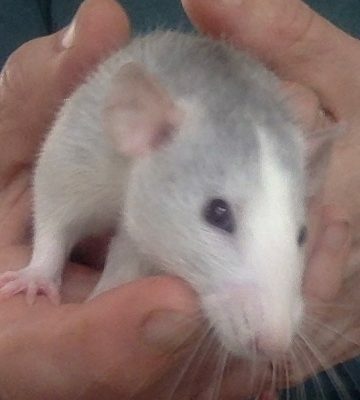 I like the “Isamix” varieties at www.ratrations.co.uk. If you want to us a block feed, try Science Diet, but do definitely remember to give your rats fresh fruit and vegetables (broccoli and salad are often good choices!). Also, keep your rats out of a draft and at a temperature between 18-25 degrees whenever possible. Do not put them the cage by a window as you may not feel the draft yourself but they can! Also, keep your rats on dust-free and/or kiln-dried substrate. Aubiose, Bedmax, Finacard, just to name a few. 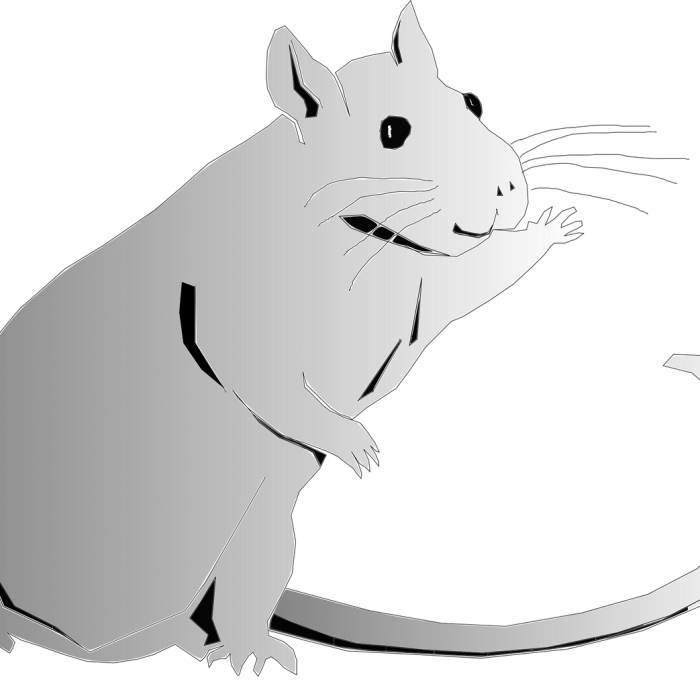 This will help reduce the most common respiratory illness of rats: upper respiratory infections. 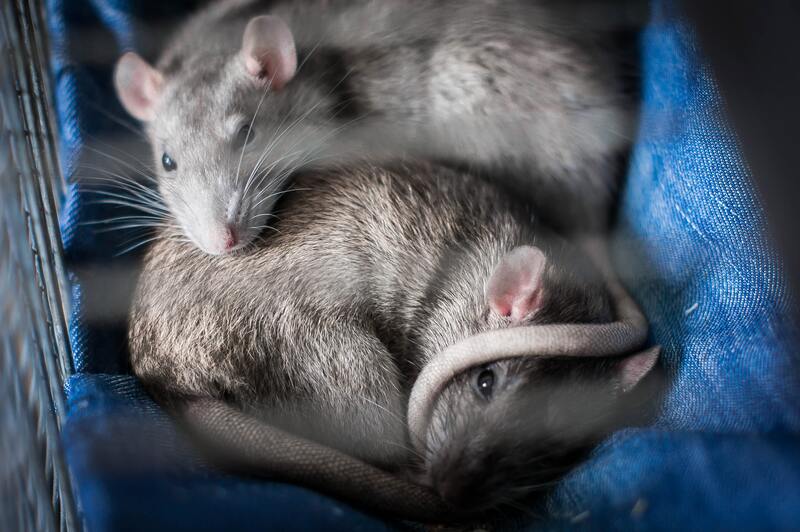 Finally, stay away from your own rats for at least 2 hours after being in close proximity of rats that may be ill (for example, in pet shops, where many rats being sold are not particularly well). 2. Treat early. Treat your rat with obvious signs of a budding respiratory infection before it reaches critical stage. This will be cheaper for you and much better for the rat. 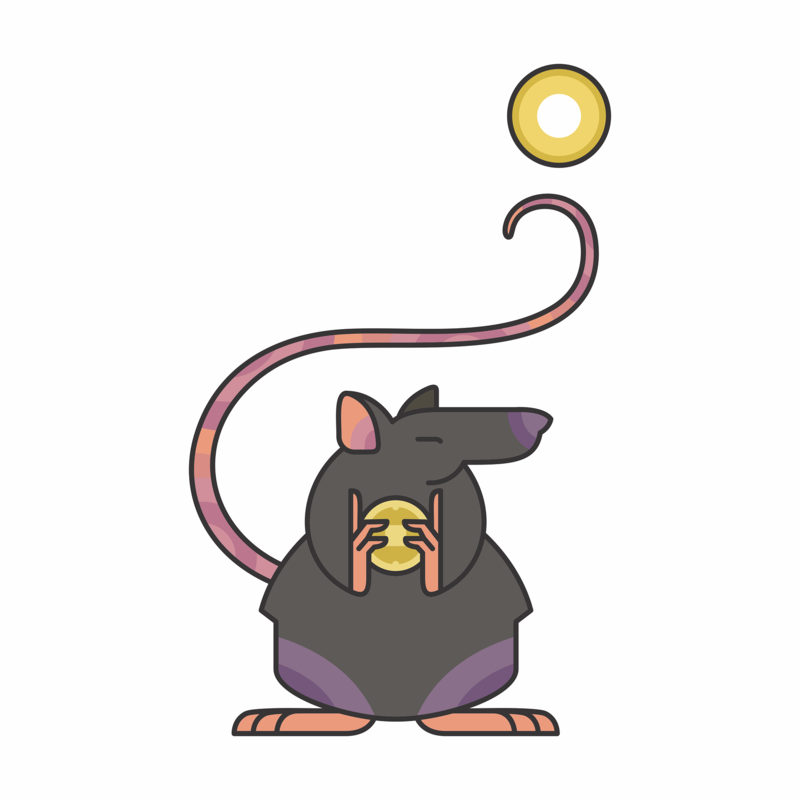 If your rat is sneezing more than it should, making a “clicking” noise and showing red discharge around its eyes (this is porphyrin, secreted from the Harderian gland, and is a kind of mucous), it is already stressed out by illness. A trip to the vet for antibiotics is in order. You may not see all these signs, by the way. Some rats don’t get “porphy” with illness. But you will hear noises. And if you hear a kind of wet “gurgly” sound your rat is quite ill. Swift measures may save him his life and you a bundle by avoiding out-of-hours fees for your sick friend. 3. Get on good terms with your vet. My vet knows me and my rats really well. I’ve been charged about half what I’d likely be charged for one of my dogs simply because my vet knows how responsible I am with my rats and that they matter to me. He once removed a mammary tumour for just over £50. Why? Because he knows that many rat owners can’t or won’t pay twice that (or more!) for a rat’s mammary tumour removal and with the surgery rats can and do recover very well. He cares about the rats and he supports owners who go that extra mile. Find a vet like that (I know, they are like gold dust!). You can also bargain with the vet. Literally, ask if they can do the surgery for less money — why not? If the practice allows flexibility, you might get lucky! 4. 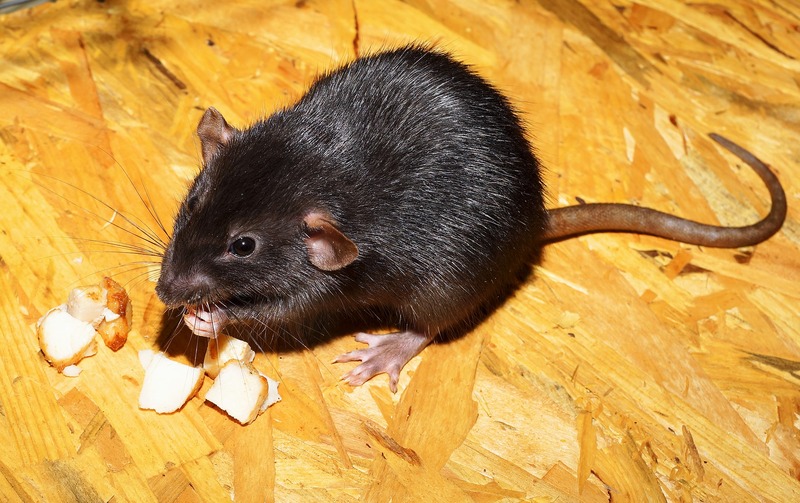 Learn about rat illnesses before they occur. 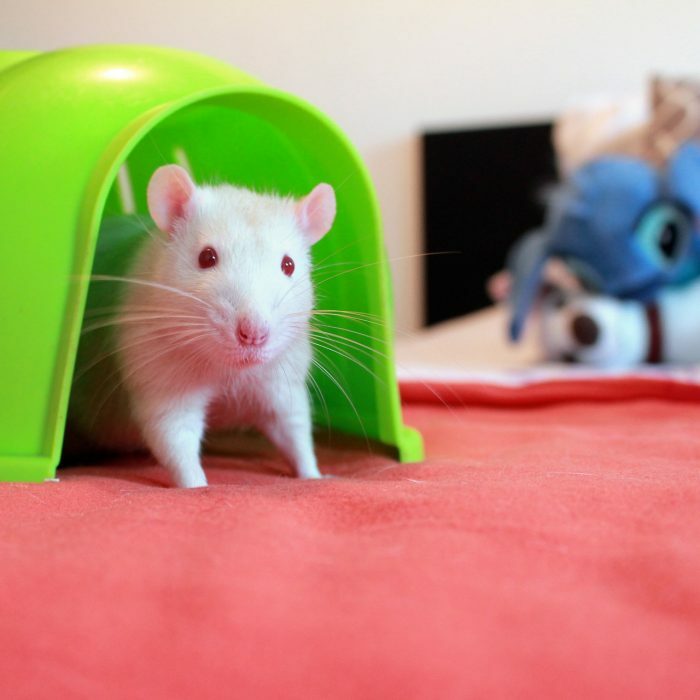 While it is great to read all about rat toys and cage set ups, it is equally important to read about rat illness. There is a booklet called Common Diseases of the Fancy Rat written by Ann Storey, president of the National Fancy Rat Society in the UK, that you get when you join the club. It is definitely worth having! Order it from nfrs.org. And read the websites. 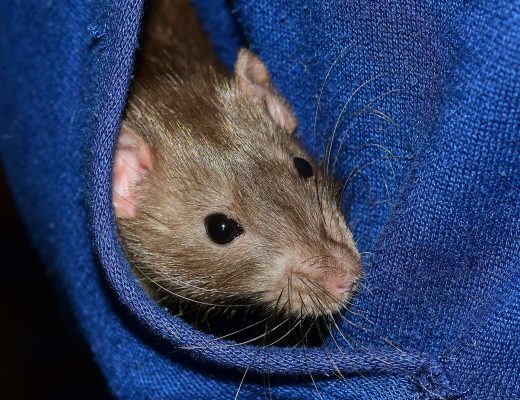 Here are a few all from rat expert, Jemma Fettes, whose website is very instructive and what I consider required reading for any rat owner: Respiratory Illness, Heart Disease , Hind Leg Degeneration, Non-cancerous tumours, Abcesses, Cancerous tumours , Parasites. 5. Accept that despite everything you do, your rats will eventually get ill! Hey, it’s not your fault. It’s rats! Do you think I’ve never had a sneezing rat or a rat with a zymbals glad tumour? Of course, I have. Sometimes a sneeze is only a sneeze, but sometimes it’s a trip to the vet. As for costs associated with breeding…well, let’s just say my emergency fund for rat veterinary bills gets larger when I expect a litter. My advice to any animal owner is to keep an emergency fund for veterinary costs. 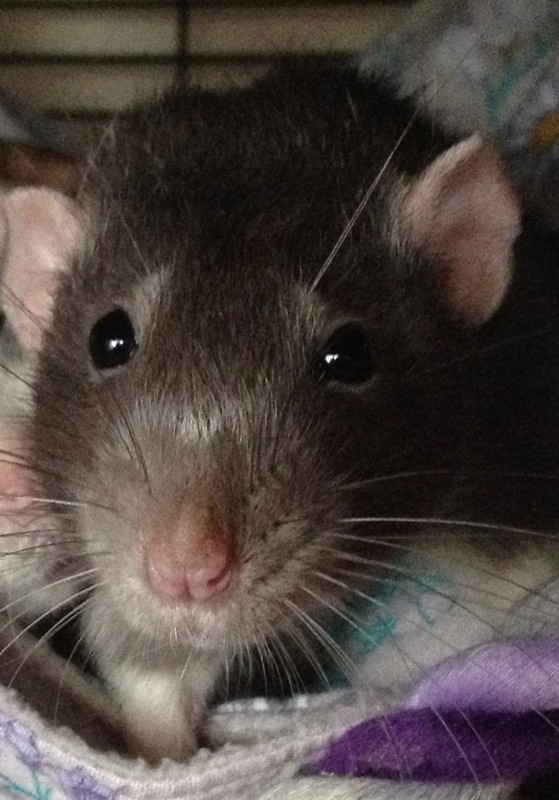 My dogs are insured but for my rats I keep a pot of “rat money” that I only use for vet bills. By treating early and avoiding those emergency out-of-hours fees, plus keeping aside “rat money” you’ll save yourself a lot of stress, too! Finally, don’t go to crazy lengths to save very old rats. I’ve done it and I haven’t always been successful anyway (though sometimes, yes!). However, your rat is very old and is no longer eating and drinking and getting the quality of life he deserves, it is far kinder to ask the vet to humanely put the rat to sleep. I have a way of making that (slightly) less stressful for the rat. When mine are very ill I keep them in a “hospital cage”, which is only one level (the exact cage is a Savic Ruffy but an “Alaska” or similar would be equally good and cost you less). I provide thick sleeping “cubes” that tend to hold the warmth better than large, thinner hammocks. When it is time to say goodbye, I take the whole cube with the rat inside and put it in a carrier. 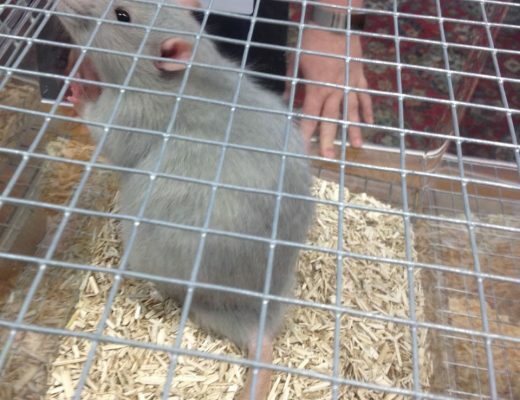 I then transport to the vet and ask the vet to lower the rat in its cube into the tank when they put it down. That way the rat is in its secure home and less stressed by the experience. 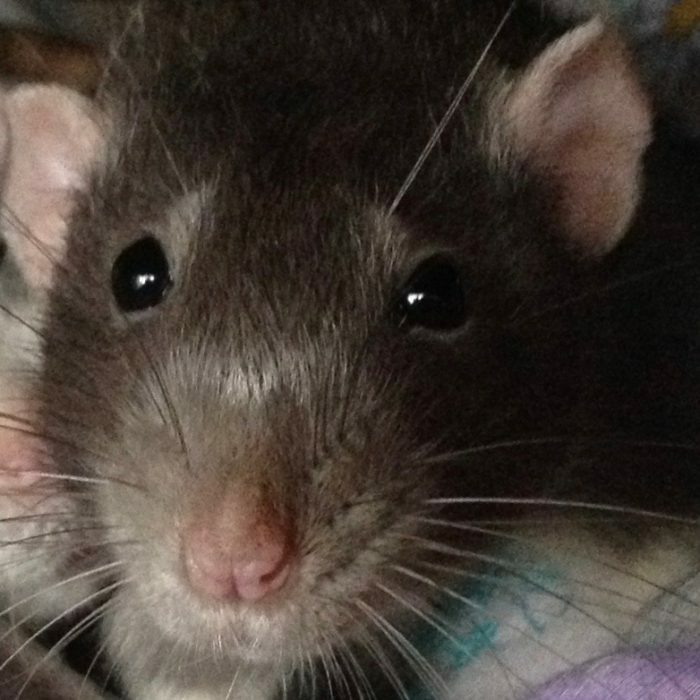 It’s the best I’ve come up with so far, though I’ve had different situations that have meant rats have died while sleeping on my chest or, on occasion, passed peacefully in a huddle with their cagemates. How Much Does It Cost To Keep Rats? Does or Bucks (girls or boys)? 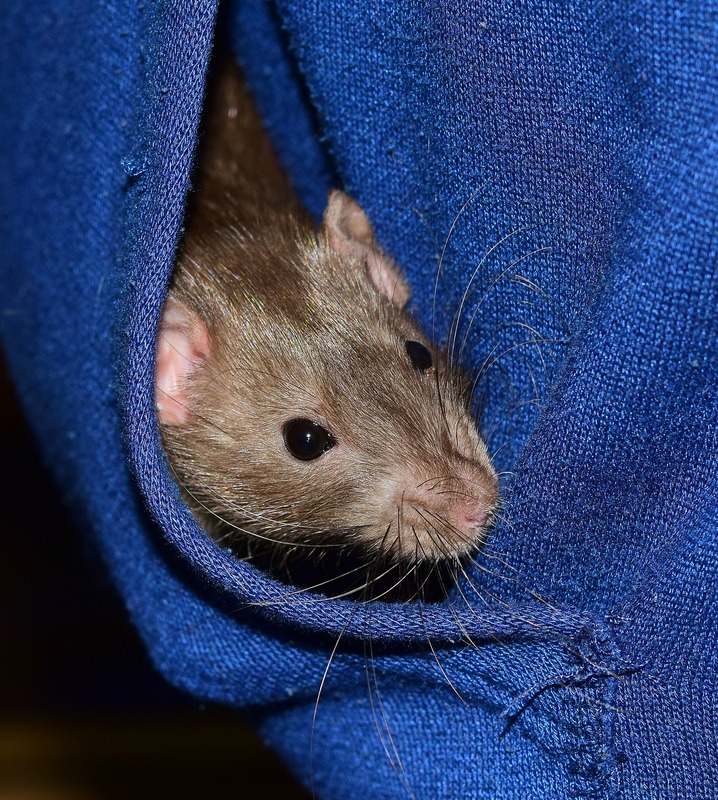 Temperament is everything…a video of Missy the lap rat!